I had visions of Southwest Tex- Mex. Everything on the menu was CORN. Corn is a GRASS and I’m horribly allergic. My gut goes into seizure. Not cramps. SEIZURE. Only morphine by IV touches that pain. I thought I knew Spanish until the waiter began to describe what ‘elote’ (ee LOW tay) meant and asked if we had seen corn on the cob as street food. I nodded, thinking of China. Corn on the cob is a street fav there. Elote’ means ‘cob’ in Spanish. Like any language, there are certain words I did not learn in school. It would be the equivalent of asking a Barcelonan to know ‘funnel cake’ or ‘whoopie pie’. You learn curse words before “funnel cake” or “whoopie pie” simply because it’s more useful to scream “sh$t!..” instead of “whoopie pie” if you stub your toe. Used to navigating difficult-for-me menus, I asked for carnitas without some of the ingredients. He asked if it was an allergy thing. “Yes” I said. I nodded, thinking of my poor gut at the ER. (I should have said ‘severe’). He understood and went to ask chef about cross-contamination. I explained not like peanut allergy but bad gut reaction. I’m sure we were the object of much pointing and laughing. The server warned that he couldn’t guarantee that I wouldn’t have a reaction. I live on the edge. I saw a billboard sign before we arrived in Sedona by car, that ziplining over predators was possible. And thought about it. My husband ordered enchiladas which were wrapped in homemade corn tortillas. I sailed through the meal sans problems. When we got back to the hotel HE was in pain. I swear I did not pray to God that he could experience what I do whenever something sneaky like cornstarch gets into restaurant food. Our best course of action for future reference is to use Google Translator for restaurant names or check the menu online. You chose one of the best restaurants in Sedona if you can eat corn. I too have trouble with corn. 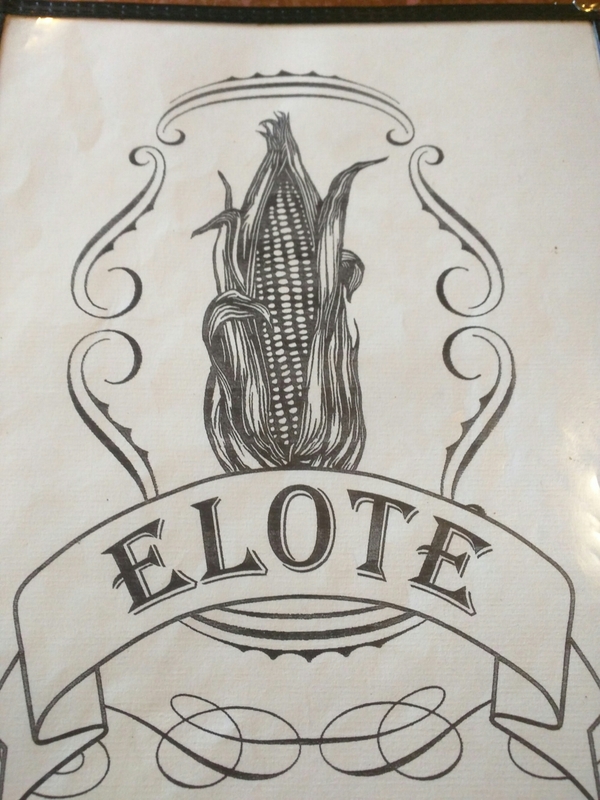 So in all the eight years that Elote has been in my town, I have only eaten there three times and with care to not eat too much corn. I’m a regular at the Javelina Cantina a short walk from the Elote Cafe. Their Mexican food is tasty and my gut can handle it. I particularly like the salsa.